Making their first appearance back in the 80’s, the PMS, sometimes referred to as the hotel’s central nervous system, represents the backbone of hotel operations for the vast majority of hoteliers. The PMS is now responsible and essential for property and revenue management as well as distribution. However, PMS systems have remained somewhat unchanged over the years and not only have legacy Property Management Systems (PMSs) outgrown their original purpose but hoteliers find themselves with an increasingly fractured online distribution network created by an increasing number of online channels. As a result, guest facing resources get allocated to back office activities, front desk employees spend more time transcribing reservations, and moments of true customer service become less and less a priority leading to a significant detriment to guest service and revenue. But alas, all is not lost. With the rise of mobile and cloud technologies, newer more agile PMS’s have developed. Now almost every aspect of a hotel business can be hosted on the cloud through a cloud-based property management system (PMS), which can cover front desk, point of sale, housekeeping, channel management and global distribution, among other things. Now acting as the hub of all hotels integrations, with a cloud PMS hoteliers can have access to most-up-to-date and accurate information about their property via one login and a few simple clicks, whether onsite or managing on-the-go. Here’s how you should focus your hotel management software strategy in the coming year. Hotel Property Management: Designed to automate processes, cloud property management systems (PMS) are key to streamlining daily operations and customer service that results in satisfied guests and repeat business. When compared to legacy-based systems, which can only be operated on-site, cloud based PMSs provided hoteliers with a new degree of freedom and a completely different level of control. With cloud comes mobility and accessibility anytime, anywhere meaning that not only are staff free from the bounds of the front desk so that they can attend to guests and operational issues more efficiently but with instant real time access, allows them to stay updated around the clock. With a cloud PMS, staff have instant access to guest data as well as housekeeping, maintenance and guest requests logged in the system, enabling them to tend to service issues in a much more timely and informed manner. With access to real-time information about which rooms are ready for guests, a cloud PMS helps improve inter-staff communication, housekeeping productivity and provide a more efficient check-in/out process. By leveraging SaaS property management systems that use tablets and smartphones as the primary hardware device, daily processes can be much more efficient and employees are empowered to go above and beyond when providing the personalized attention that keeps guests coming back. Hotel Revenue Management: Many hotels employ the use of a revenue management system (RMS) and they are many great products on the market – however using an RMS separate to your PMS has it’s problems leading to issues with overbookings, increased costs and missed opportunities to offer the most competitive room rates. “…a hotel’s pricing should be directly linked to live market conditions and availability. Yet, too few hoteliers can accurately determine what their availability is when the point-of-sale comes, making that availability impossible to manage at the same rapid pace that room bookings – and cancellations – occur in today’s dynamic online environment” Skift. However with a cloud property management system hoteliers have access rate control & flexibility, advanced rate management, yield management, rate and stay restrictions all on the one system therefore allowing you to easily create, control and sell the right rates and packages at the right time to the right customers. When integrated with an automated revenue management system, cloud PMS help power dynamic pricing strategies based meaning you can even have occupancy adaptable rates that can automatically change room prices for each day depending on your hotel occupancy, and also on market and competitor analysis. Basically the system does everything automatically and you never need to worry about rate synchronisation, changing prices, or stop sales to prevent overbooking. Which leads us to our next point – real time updates and distribution. With a cloud PMS there is no need for manually checking and changing rates across your channels – your cloud PMS will automatically update all your rate information across all channels in real time. 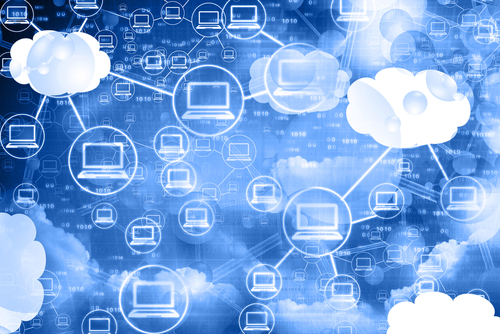 Hotel Distribution Channel Management: Distribution systems on the cloud can help hotels manage the complexities of distribution through a single online dashboard. With an integrated channel manager, hoteliers’ only need to use one system to manage rates and rules cross all channels directly from their PMS – there is no longer a need to login to each channel to update your associated inventory and rates. Offering seamless connectivity, an integrated channel manager provides easier distribution of your online rates straight from the PMS. The channel manager can complete automatic inventory update and booking capture on all channels i.e. send automatic inventory updates to all connected OTAs, GDS and CRS virtually after every new booking, cancellation, update, block, release block or room status update, and booking details are automatically imported to the PMS. Also direct connectivity between your PMS and channel manager not only puts your property in front of travellers all over the world, but also ensures that rates and availability are up to date in real time across all channels helping to maximize occupancy and revenue while at the same time reducing overbooking errors. A cloud based PMS offers hotels all the benefits of a comprehensive management system without any of the huge infrastructural investments. With its seamless real-time integration possibilities with other systems, it provides a single platform through which hotel staff can access, update and track all the relevant information concerned with the day-to-day (as well as past and future) function of the property, across all departments, and even across multiple property locations. With a cloud based PMS hoteliers can really take advantage of its powerful management capabilities leading to heightened customer relationships and increased revenue opportunities. A strategy that leverages hotel management software holistically is the way to go in 2017. OTAs have become somewhat like your worst best friend. While the exposure properties gain from OTAs is undeniable, many hoteliers are asking themselves if the pleasure is worth the pain. When bookings are made through an OTA, hotels find themselves paying commission fees upwards of 25% on booking revenue. Morgan Stanley Research estimated that the global hotel industry saw revenues of $570 billion last year and of that amount, brands took home about $11 billion for branding fees. OTAs, on the other hand, collected $16 billion in commissions… Ouch! 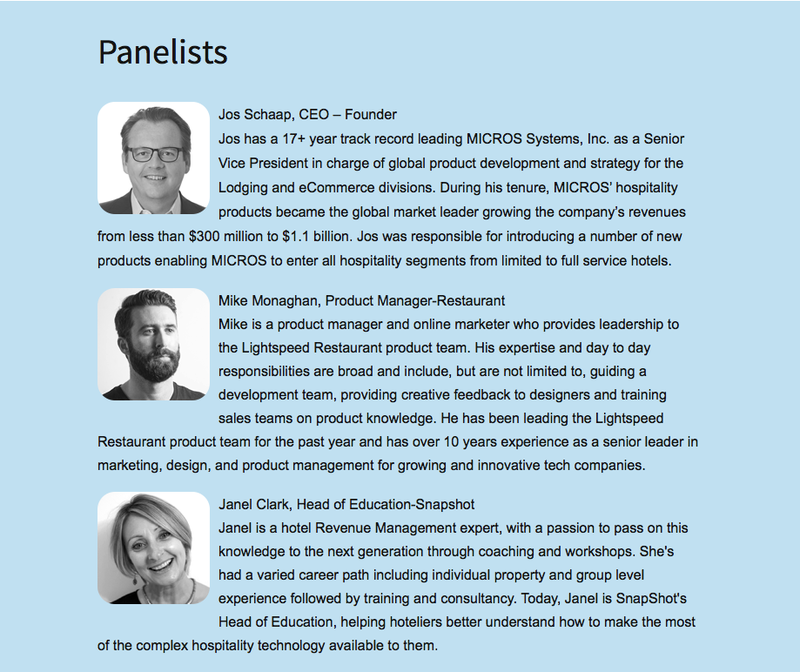 Until recently, hospitality technology has been old, cumbersome, and expensive – or so the conversation goes. But newer technologies are providing innovative solutions to IT headaches. Solutions that are faster, less risky and far more affordable and cost-effective. 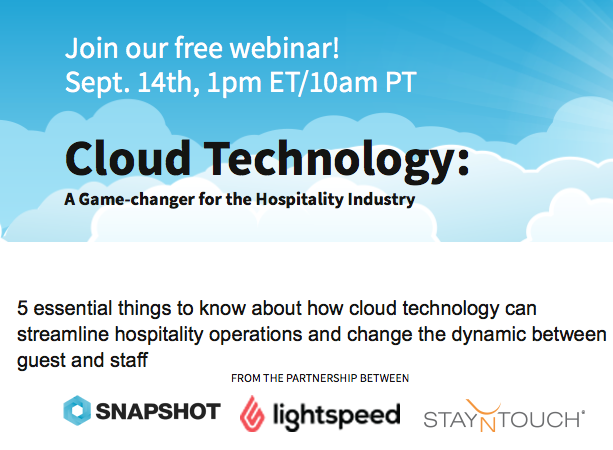 Hotels that have made the switch to Cloud technology are seeing a significant increase in monetary savings, greater operational efficiencies and the ability to deliver a more personalized service-leading to an increase in customer loyalty and guest satisfaction. It’s a relationship that started off with great expectations, one that was welcomed with open arms by hotels where OTAs helped them to reach new online global markets and deliver a healthy volume of business as well. However, blinded by the initial positive results hotels now seem to be in a very one side union, where one [OTAs] effectively sell rooms they don’t own for a very nice profit. They are effectively “creating a perverse situation where the business of providing a good or service is significantly less profitable than the business intermediating its sale,” Skift 2016. Launching back in the 2000, OTA’s grew rapidly and now their [considerable] slice of market power is of increasing concern. 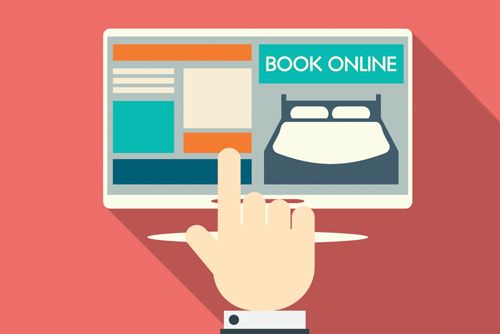 Back in 2013 Booking.com had a market share of 39%, which is now believed to be somewhere closer to between 60 and 70%; Expedia and Hotels.com (an Expedia company) hold much of the remaining share of the online hotel rooms market. Forecasts show that by 2020 the Priceline Group (owner of Booking.com) and its competitor Expedia will control 94% of all online hotel bookings. It really is no surprise then to learn that 1 in 3 leisure bookings and 1 in 2 business bookings are now made through OTAs (Digital Key in 2014). What can be done? While there are endless articles with initiatives on how to strive for a more symbiotic relationship and regain some control over the situation – we are not going to repeat those here. Instead we are going to look at one key area that can be tackled, in-house, under your control and doesn’t require any major investment, namely, the capturing of your guest email address. OTAs are even more grating when it comes to passing over guest details to a hotel once a booking has been made i.e. 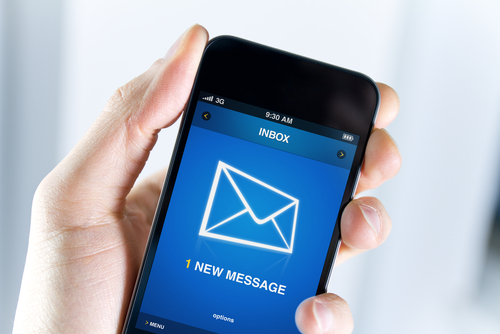 the main players are known for withholding email address information. In doing so, they are forming an even bigger wedge between you and your guest, at the same time creating an opportunity to drive repeat business through their site instead of yours. REGISTER FOR THE WEINBAR NOW! Capturing and storing your guest email address is an absolute must for hotels in their battle with OTAs; it ensures that the guest is also your customer rather than solely that of OTAs, and will help in driving up your direct bookings. Madigan Pratt argues (and supports) that hotels that email their guests relevant quality marketing martial see an impressive increase in their direct bookings. Check-in is the one of the best times to collect data for guests, data that will help grow your direct booking channel. Using the old fashioned method, you can train your front desk staff to collect key data from guests when checking-in however; this additional request can unnecessarily elongate the check-in process and can also be prone to typo errors. Conversely, a mobile guest engagement solution makes it possible to collect data from all guests efficiently, even the ones who booked via OTA, with little or no errors. Using mobile check-in allows you to capture any missing guest profile information, specifically email addresses, at the point of check-in. As travellers consider their phone to be the single most indispensable item they carry with them when they travel, it’s arguably a more effective channel to communicating with guests not only throughout their stay, but after they are long gone. Retrieving and storing a guest’s email enables you to build on your direct relationship with your guest, encourage them to return and convert them into loyal customers. Whether it’s collecting them through a mobile guest engagement solution or at the front desk, in a digital era, email addresses are a fundamental and essential way to directly market and communicate with current and past guests. Email marketing allows your hotel to keep customers informed about any special offers and promotions your hotel is running and incentivise them to book direct. The clear and major advantage of direct email communication is that it allows you to re-establish the link between hotelier and guests. Smartphones and other mobile gadgets have become omnipresent and are changing the ways we communicate and do business. With the right technology tools in place, hoteliers can increase their revenues and cut costs. 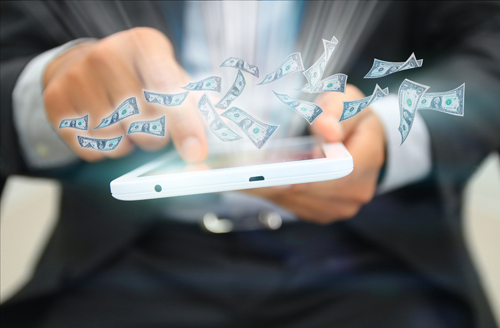 Here we highlight 3 ways mobile technology for hotels can, and is, increasing revenue. Getting ready for HITEC, a hotels mobility and PMS shopping list! HITEC (www.hitec.org) is just around the corner, from June 15th to the 18th 2015, thousands of hotel professionals will visit Austin, Texas to explore the latest in hotel technology. What will be on their shopping list and what trends should they be looking for? Mobility has been on the forefront of HITEC for the last few years. 2015 saw a big boost from the major hotel brands such as Starwood, Marriott and Hilton who promoted their apps will all kinds of new stuff, from the mobile phone key to check in and check out. As a result, many smaller hotel operators are trying to answer the questions: “How can my hotel take part in this age of mobility?” or “How can I offer mobile check in and out to my guests, if I do not want to provide an app?” Another big question for many hoteliers: “Do I need a new PMS to offer mobile for both my guests and staff?”. Is guest and staff mobility a must for today’s hotel? And should I be shopping those solutions at HITEC. I say, yes you should! If we just focus on mobile check in and out for guests and the soft benefits such as; less work for the front desk, convenience for the guest, better trip advisor ratings, and simply the ability for hotels to offer choice, rather than forcing the guest to the front desk only. Adding to that the benefits of up sell at check in and out, has proven already that a full ROI on your monthly SaaS fees can be a reality. Add to that mobilizing your staff, for example your housekeeping team, and finding out the status of room turns from a 4 minute radio communication check between various staff into a 10sec check on the staff members mobile device, is an example that will help with turn over rooms faster and reduce labor costs. “Do I need to replace my PMS to get truly integrated mobile capabilities?” There are solutions that extend your PMS to provide mobility, most focus on either staff or guests. Few vendors provide both. Look for those vendors that are connected to the PMS and can really manipulate the PMS with check in and out or for example room status updated. These “PMS Overlay” vendors should warrant a real time interface to your PMS. Another important point on the hoteliers shopping list should be “ease of use”. Look for software that is designed without the need for training in mind. Previously enterprise and business software was designed with the hoop for lot’s of training and customization requests. Today’s hotel software should have a consumer based design, your staff members can just pick it and begin to use it, reducing your on-going training costs year over year. Don’t forget to stop by the StayNTouch booth #423, we look forward to show you our mobile and cloud based solutions, and talk about our recent customers successes. See you in Austin! By Jos Schaap, CEO – Founder at StayNTouch, Inc. The Hotel Room Key Goes Mobile…What’s the Big Deal? The Answer is “Choice of Service”. Hilton announced plans to enable mobile room key in 600,000 rooms before the end of 2015. So, the question is…What’s the big deal? To answer this question, I went to leadership of several of the big brands AND I spoke with a few of the door lock manufacturers. As a matter of fact, just last week, I attended a sales conference hosted by one of the world’s largest hotel door lock manufacturers. The overwhelming answer to the question is CHOICE OF SERVICE. Today’s consumers are learning that a connected experience from their smartphone offers a ton of convenience and time-savings and even reduced costs. Of course, the obvious/crazy popular example is Uber. Fast, super convenient and many times cheaper than a taxi. Banking? Who goes into a branch anymore when you can do what you need on the smartphone? Seamless Check-in…when combined with the rise of mobile check-in, mobile room key introduces the seamless check-in for the guest. The guest can now check-in via his/her smartphone and go right to their assigned room without needing to stop at the front desk. Reduced load on Front Desk = Labor savings for hotel & enables staff to focus on meaningful interactions with the guests that choose a full service check-in process. Convenience & Choice of Service for the Connected Guest…those guests that value the ‘full service’ check-in process can go to the front desk as has always been the case. At the same time, the “silent traveler”…those guests that value speed and convenience can choose their preferred silent path. Increased TripAdvisor Scores… the research is in. Hotels that deliver on service choice and reduced waiting gain higher scores on the all important review sites. And as the industry now knows, increased review scores directly lead to increased revenues. Proof? A hallmark study conducted by the Cornell University School of Hotel Administration found a 1% increase in RevPar (an industry measure of revenue) for every 1% increase in the hotel’s “online reservation score” directly equating improved ratings with increase revenues. To sum it all up, mobile room key is part of a larger industry shift that in the end will be a win-win for the hotel and for guests. The question is, what is your hotel’s plan to offer this choice of service? I’m interested in your thoughts on the topic. Please list your comments/thoughts and I’ll get right back to you. As we at StayNTouch approach our inaugural HITEC Conference in Los Angeles next week (a big deal! ), I find myself thinking back over the past 19 or so HITEC’s that I’ve attended. My very first HITEC was flooded with the ubiquitous MICROS Fidelio gold brochure in 1995 promoting the release of the OPERA Property Management System…well, maybe the release didn’t happen then, but the promotion sure did. While I realize that there are many other industry veterans who have been to more HITEC’s…19 visits has afforded me some perspective. The thought occurred to me that I’ve actually been around long enough to see actual trends be created, develop and grow! It does date me a bit, but I moved from working in hotels (Colonnade Hotel Boston) to working in hotel technology right when the DOS to Windows revolution began in earnest in hotels. My first job was with Newmarket Int’l selling Delphi and I was there to see the launch of Breeze, Newmarket’s first Windows product (who remembers!?). OTA’s were born and continue their growth. Distribution management, web booking/marketing and CRM are a few others that were beginning and have grown to be substantial technologies in our industry. As I think about these transformative technologies, I think what’s the next big thing for hotel technology?? Perhaps its leveraging BLE (Bluetooth Low Energy). Maybe its integrating Google Glass. Maybe its something really cool that I don’t even know about. Maybe, just maybe, its right in front of us…mobility. Yes, that seems obvious as mobility continues to transform industry after industry. Telecom, Music, Airlines…and yes, Hotels, though far more slowly than many others. The hotel industry is still trying to come to grips with the skyrocketing % of hotel bookings made from smart phones. And guess what…the OTA’s are winning that race. I do not believe that I’m alone when I say that there is no technology today that has the power to redefine our industry more than mobility. Mobility for hotel staff…for front desk, engineering and for housekeeping. A more flexible, efficient staff will be able to provide a higher level of service at reduced costs to the operation (training, infrastructure, etc). Mobility for guests…the great majority of your guests are carrying around amazingly powerful communication & engagement devices in their pockets…the smartphone. The time will come when all hotels will put engaging, integrated experiences on their guests devices. Why? Because the guests will (and are already) demand this connection. So, as we enter the 2014 HITEC, look around…how many tablets and smartphones do you see in the hands of the attendees. Almost all of those attendees are staying in a hotel somewhere nearby…and so are their mobile devices.